Despite spending big and making a huge statement of intent with the signing of Alexis Sanchez, report in the Independent suggest that Manchester United are looking at two more players in this month’s transfer window. United want to add even more quality to what is already a squad brimming with quality. United completed the signing of 29-year-old Chilean superstar, Sanchez in a deal that stunned the football world in terms of wages, unveiling and circumstances behind the transfer. 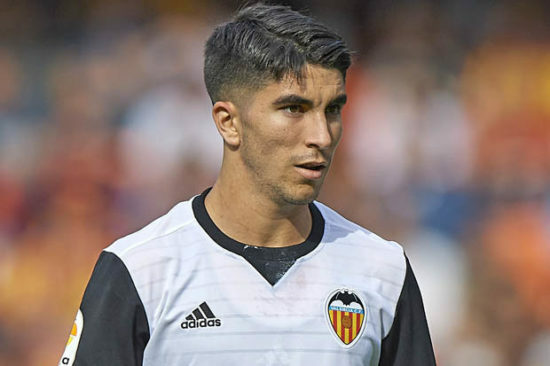 The Independent reports that United are confident of sealing the captures of Borussia Dortmund midfielder, Julian Weigl and Valencia attacking midfielder, Carlos Soler. United manager, Jose Mourinho is keen to add more bodies to his midfield as the likes of Jean-Michel Seri of OGC Nice and Fred who plays for Shakhtar Donetsk are also being monitored. Mourinho knows that we need more quality players to be able to compete for the major trophies on offer, with the Portuguese tactician looking to replace the pair of Marouane Fellaini and Michael Carrick. Carrick is expected to retire at the end of the season to join the coaching setup while there is still uncertainty about the future of Fellaini, who had been linked to a number of clubs on the continent due to the situation concerning his contract. Weigl, 22 is a defensive midfielder by trade while Soler at 20 has earned praises for his composed displays in the heart of midfield for Valencia this campaign. Both men are young players that have potential to improve in the nearest future.